Sometimes you show up somewhere and you have no idea how your life will be positively impacted because of it. That’s what happened to me when my friend Wendy invited me to be a part of the No More Angry MOB (Mother of Boys) group on Facebook. I took part in their 40 Day No Sugar Challenge a year ago, but more than that, I came to face-to-face with my anger issues and some practical solutions towards more healthy parenting. It is a privilege to introduce you to this invaluable resource that releases today. This is a book for you, and every mom you know. It’s a gift to help you move from angry reactions to gentle biblical responses. I don’t give out 5 Stars for books very often, but I definitely did for this one! Read my review below and then let’s give a warm welcome to Wendy Speake, co-author of Triggers. “Triggers” is an honest and practical resource that equips parents to respond with grace and wisdom when provoked. As a tightly wound mom, who struggles with anger on a regular basis, this book is a lifeline. I feel called out of hiding, reassured that I am not alone and inspired to parent differently. 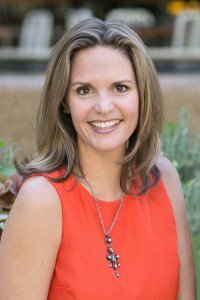 Amber Lia and Wendy Speake are approachable and experienced guides as they equip you to move from anger to empathy, from frustration to focus and from irritation to intentionality. Both external and internal pressures are uncovered as game-changing strategies are given to get you unstuck and moving forward in a healthy manner. Give yourself the gift of this book and your family will experience its benefits for years to come. “Triggers” is an invaluable tool for every mom! I felt all the angry feelings this afternoon, as the boys helped with yard work. There wasn’t one span of 10 seconds that passed without angst and arguments. The youngest flopped down in the half-hazardly raked pile of leaves, as the oldest shouted at him to get up. “It’s not fair! Get up. I’m doing all the work!”, the middle brother wouldn’t stop laughing like a crazed hyena, and their dad joined the circus with heavy handed threats. I was more exhausted listening to their complaints, than the physical work of picking up ALL THOSE LEAVES! I confess, I was trembling. Literally shaking like the leaves that kept falling from our great Maples. Trembling in my angry boots. This is just one example. You have your own. The things they do, the things they say, the way they behave… that make you tremble. I call them Triggers. Disrespect, backtalk, lack of responsibility, complaining over what’s been served or that it’s bedtime… and we get angry. But here’s the thing, our goal isn’t to never feel angry. Our anger actually isn’t the problem. We were made in the multi-faceted image of an emotional God. Even He feels angry over the sins of His children. No, sweet moms… we don’t need to fear anger, we simply need to stop sinning as a result. It has helped me tremendously to recognize my anger as a gift with a divine purpose. When I get hot, I try to see my emotions rising like a red flag, waving over an incident. That red flag reminds me that there’s a problem that needs my help. When I slow down to see my triggers as opportunities to parent, rather than to throw a fit alongside my little fit throwers… then I consider my encounter with my feelings of anger a great success. But it’s not easy! Sometimes my natural woman wants to holler something awful at my children like, “Why do you always do this? When will you ever grow up? Why can’t you shut your traps and get this done so we can move on to something fun? This is exhausting.” Truth be told, there are times I want to spew my sin in word-form all over them. But I didn’t, not today, not this time, by the grace of God. My children knew that they did wrong. They didn’t need me to berate them with the obvious. So often I forget this. But here’s the biggest lesson from today: When I react in anger to my children’s sin, my sin becomes the focus. However, when I respond with gentle, Biblical instruction to my kiddos childishness, there’s a chance for growth – theirs and mine. But little by little they will do less wrong. They will mature. Today, let us commit to doing less wrong as well. Let us commit to our own maturing process. Let us rise up to be mothers who tremble, but do not sin. Dear Lord, So often I forget to slow down and parent my children in the midst of my trembling. I get angry over their wrong-doings and forget to love them through it with lessons rather than lectures. Teach me to tremble without sinning. Help me to see their sin as a red flag waving, reminding me that they aren’t finished growing up – and I’m not done being their mother. Help me, by the power of your Holy Spirit, in the Name of Jesus. Amen. Today’s post is by the co-author of the brand new book Triggers: Exchanging Parent’s Angry Reactions for Gentle Biblical Responses. 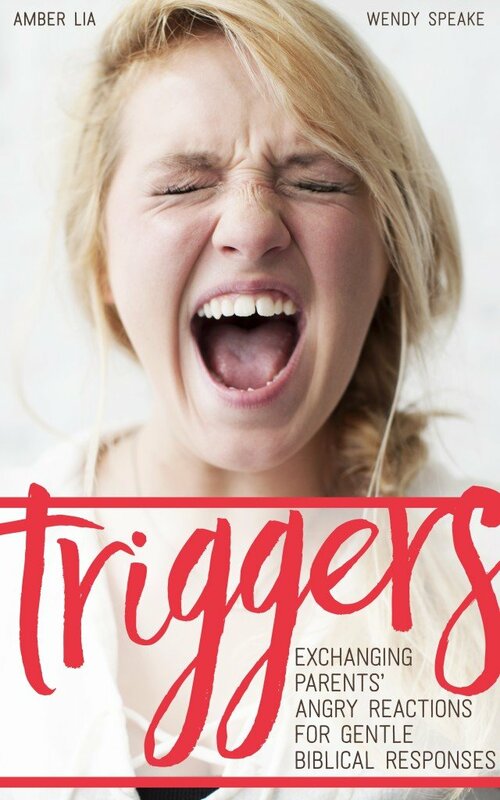 If you struggle with anger in your home from the sheer effort of it all, if you find yourself yelling at your children, and overcome by shame, I encourage you to order a copy of Triggers, by Wendy Speake and Amber Lia, published by BRU Publications. Wendy Speake is the mother of three rough and tumble, strong-willed boys, who roll pell-mell all over each other (and their mother) most every day. Visit her at wendyspeake.com, or follow her parenting adventures on Facebook or Instagram. 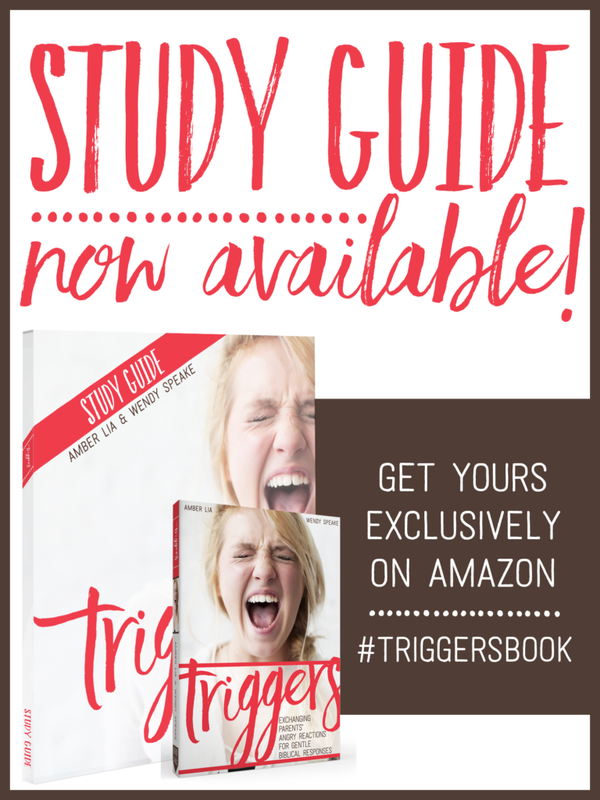 Triggers is Wendy’s first book, co-authored with Amber Lia. P.S. Join us over at the #RaRaLinkup today as we make Him known with cheers and encourage one another to press on. I’m also linking up with Jennifer Dukes Lee for #TellHisStory. Oh…. This is ME! I need this book. Heading over to order my copy! Thanks for showing my I’m not the only one who feels this way! It’s such a good book Liz! Let me know how God uses it to grow you. 🙂 You are definitely not the only one. We’d love to have you join the No More Angry MOB Facebook group too—so much encouragement and support as we learn better ways to respond to our darlings. This is the first I’m hearing of the book so I thank you for posting. Just the other day I was teaching a group of parents effective on communication and we talked about triggers. I’m looking forward to getting my hands on this book. Hi lovely Tyra! Yes, get your hands on this book, it is so helpful and a great resource to use to equip others as well. Were you sitting at our dining room table last night? Surely you were, because it went something like this post, but on the path of awry. Gah! This book might be intended for my fingers, words for these eyes. So glad you posted this today, Katie. Katie, thanks for sharing this with us today! My boys are older, but my girls can aggravate me just as quick! I look forward to reading Wendy’s book! I don’t have boys–but I teach boys–and they are definintley rough and tumble and they assuredly get my goat! I can’t wait to read this! Best book I’ve read in a very long time! I’m so thankful you wrote this!